For the first time in my life I tried the Oatly products last week. I found both Oatly milk with calcium and Oatly ice-cream with vanilla here in Norway where I’m staying. The milk is very good. It’s light and nice to add in both hot and Ice coffees. It’s also very nice and filling in smoothies. The Ice-cream was also very nice, all though I ate it in the weirdest way ever, I had in the fridge Alpro chocolate dessert, so I used the dessert like a chocolate sauce for the vanilla Ice-cream. Weird I know, but man that was good. I think it would be very lovely to make milkshakes out of these products. 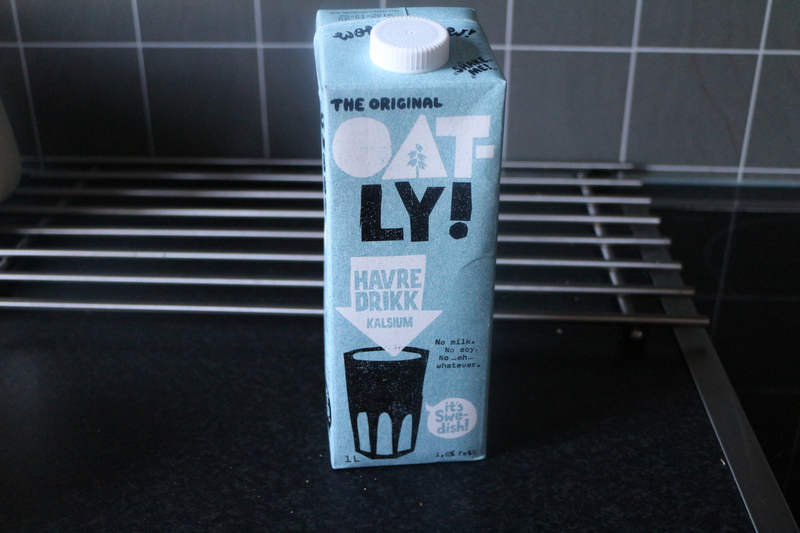 Oatly has a few more products that I would love to try, but they don’t sell it in Iceland. These are the only products I could find here in this small town I’m staying in, but I’m going to a bigger town soon so I’m gonna try to find more to try out. Follow me on Instagram if you would like to see more. I’m also posting few travel pictures at the moment and of course what I’m eating and what I’m up to. What is your favorite Oatly product ? Leave a comment down below.